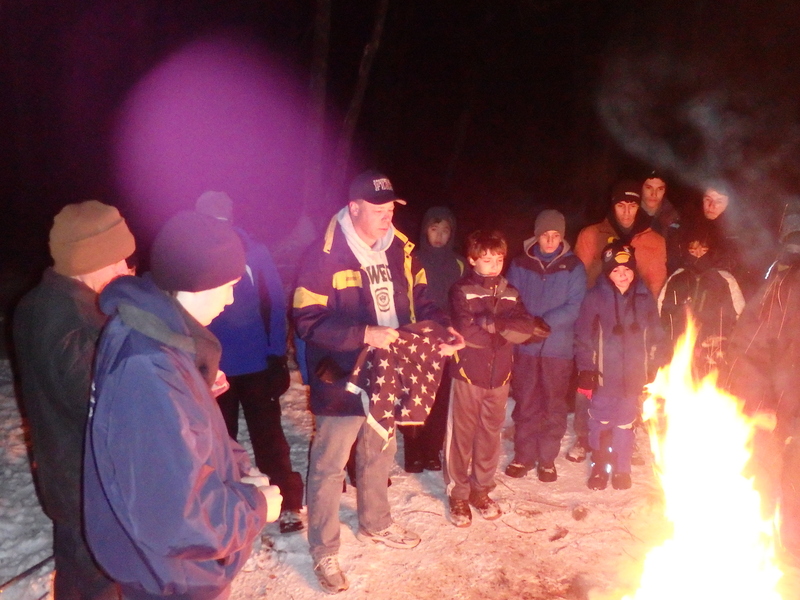 Wintoree is one of Troop 353’s annual traditions. 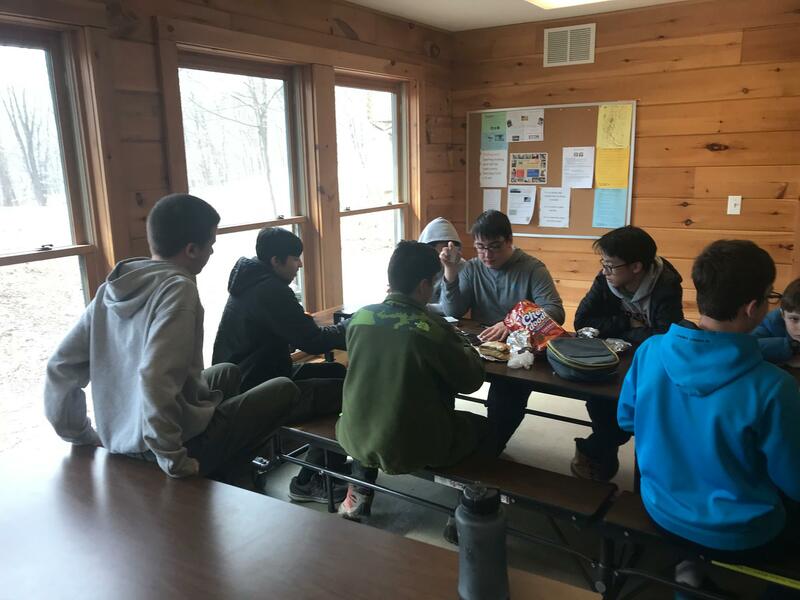 We team up with other troops and head up to Durland Scout Reservation for cabin camping, merit badge classes, merit badge counselor meetings, and other rank advancement work. 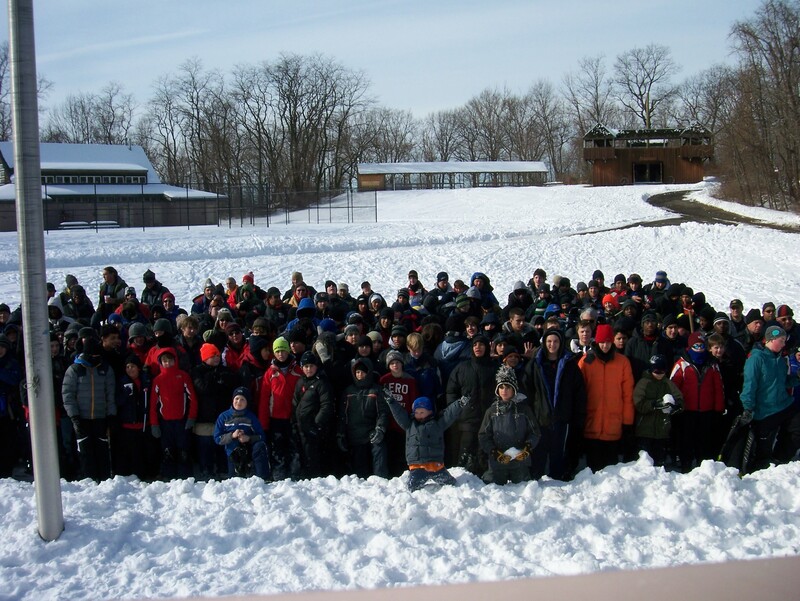 This year’s Wintoree was a bit later in the year – and a whole lot warmer – than usual, with sunny late-March weather permitting merit badge classes to be held outdoors at the campfire ring! Thanks to Troop 1 Bronxville and Troop 2 Bronxville for joining us this year! 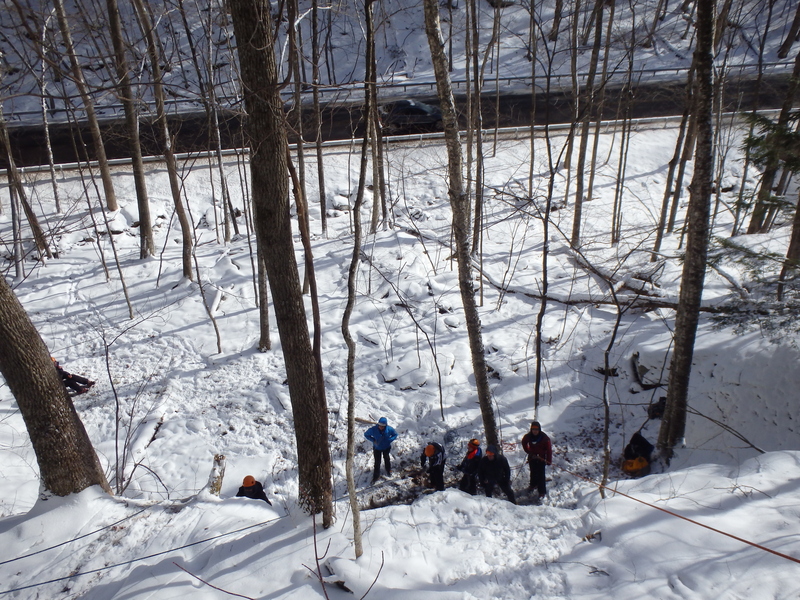 Here in Southern Westchester County, we are blessed to live in such close proximity, from beach camping in Montauk to ice climbing in the Catskills. 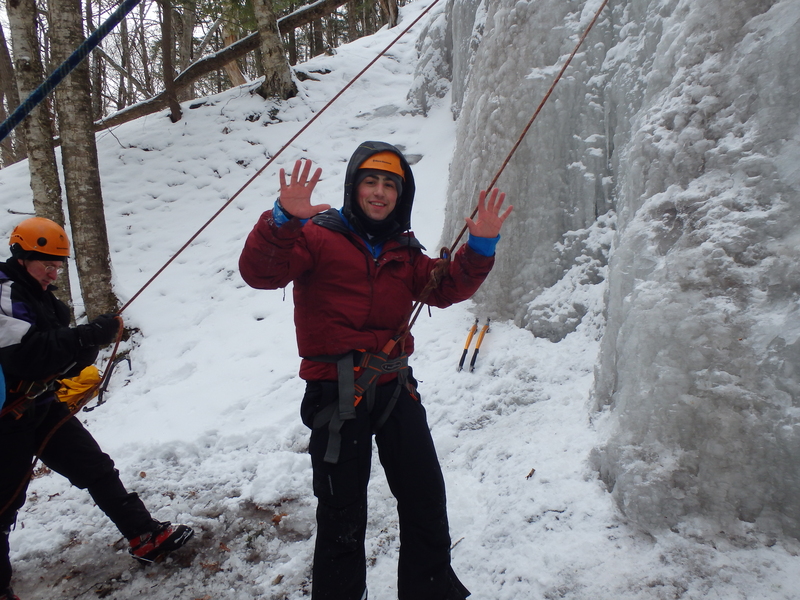 And with the harsh winter we have had this year, combined with specific requests from our senior scouts, the time was right to revisit ice climbing after a two year layoff. Indeed, it was two years ago exactly that the troop hired the highly regarded outfitter Alpine Endeavors out of New Paltz. Their guides have some of the best climbing credentials and many are also EMTs. Suffice it to say that not only are their guides well-qualified but they are terrific when working with youth and adults! Ice climbing has some similarities to rock climbing (you are belayed), but in many people’s view, ice climbing is technically more challenging and gratifying and FUN! And FUN is exactly why our crew of 5 adventurous senior scouts and (two intrepid dads) braved the single digit temps that day just outside of Phoenicia, 50 miles northwest of New Paltz. 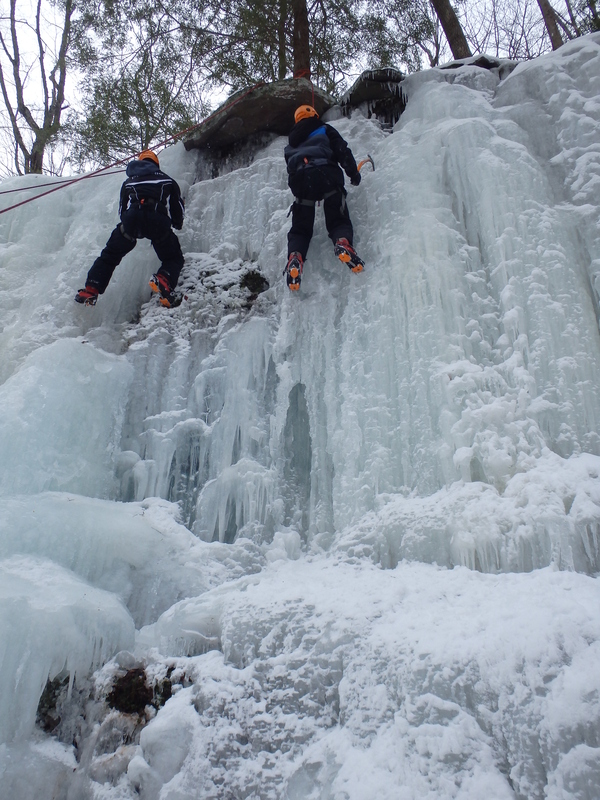 A few of the scouts had been ice climbing previously and felt at ease “on the pitch”. The first-time climbers had to learn the correct techniques, including a firm planting of the toe spikes of the crampons as well as where & how to plant their hand axes. And of course everyone had to be happy being up to 40–50 feet above the ground with only your toe spikes holding you! As their skills increased throughout the day, our guides Alan and Ron challenged the boys to try climbing with only one hand axe and many succeeded! A few even tried climbing without any hand axe or gloves! Ouch! We stayed warm by taking turns belaying or playing the role of backup belay and keeping the rope out any water and freezing. Hot chocolate also helped! 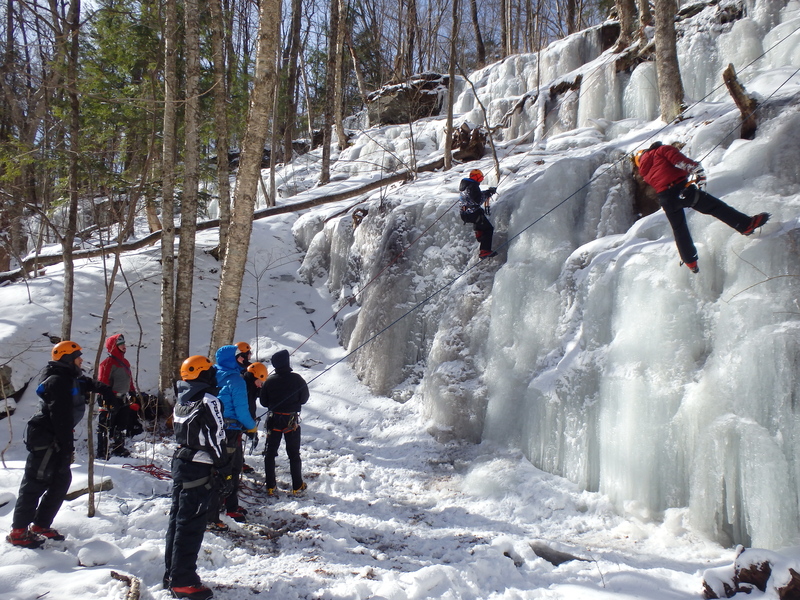 By the end of the day, everyone had exhausted their energies but enjoyed a newfound sense of pride and satisfaction at mastering one of the neatest winter sports of all: Ice Climbing! For some cool pics, click here! There is no better example of the Brotherhood of Scouting than witnessing two active scout troops in two different Councils work together to create a tremendously successful event. 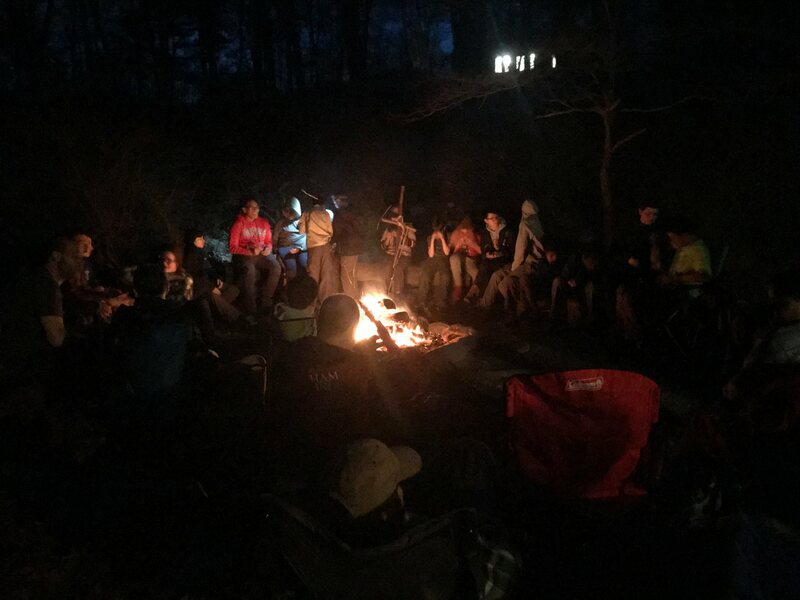 That is exactly what happened (again) at this year’s Wintoree Merit Badge Seminar, where Troop 240 Riverdale, in conjunction with Troop 353 Eastchester, created a challenging but effective and intense learning environment during a winter weekend at Durland Scout Reservation in early March! 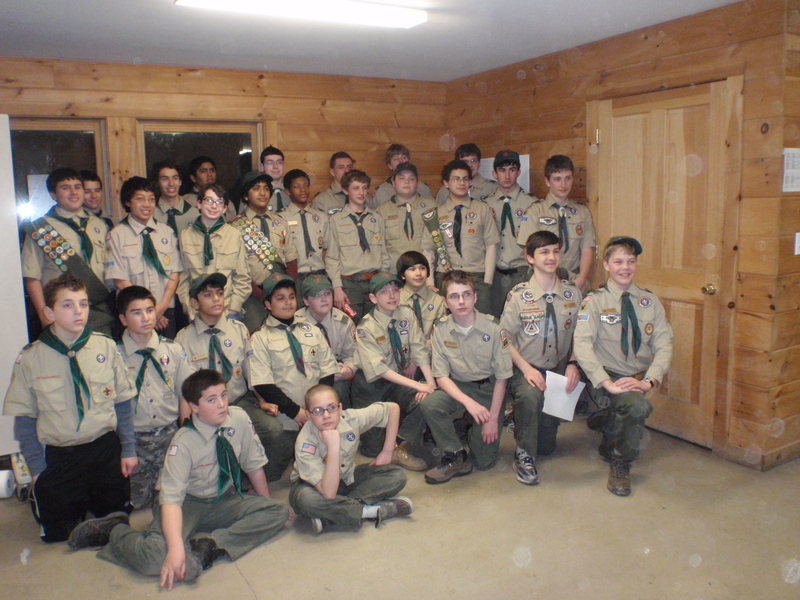 Ten of our scouts completed 16 merit badges (including 9 Eagle Required) and numerous partially completed merit badges. Other scouts made significant progress toward completing lower rank advancement. A shared feast, skits and crackerbarrel capped another near perfect day of fellowship with our good friends at T-240. Check out the photos here! 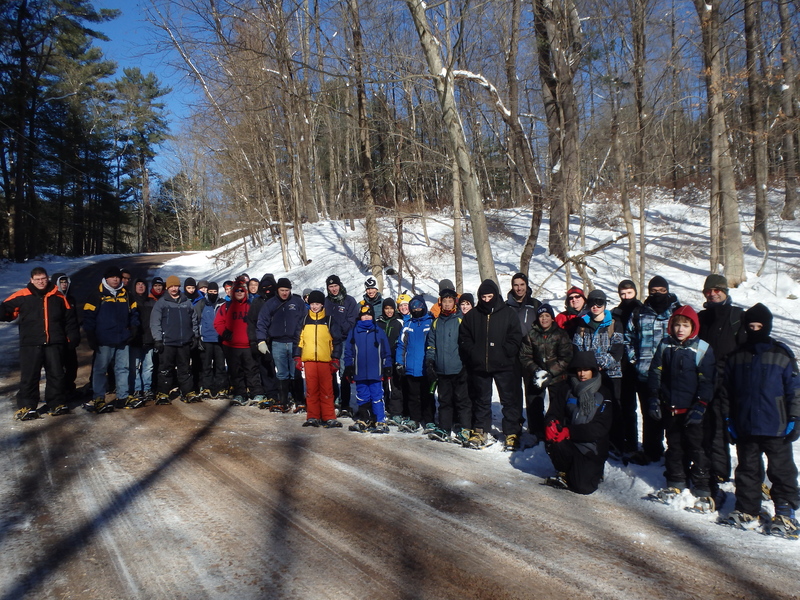 The troop recently took its annual pilgrimmage up to TMR where the temps are typically below freezing most of the month of January. 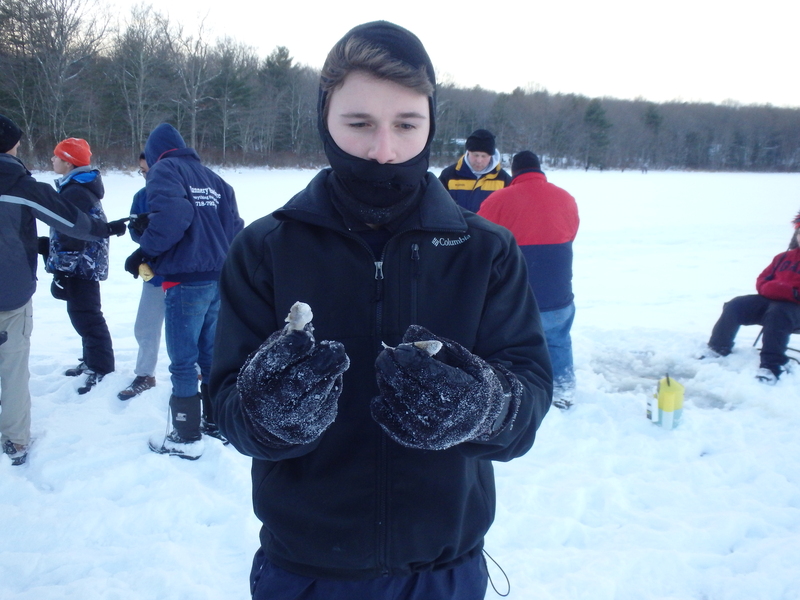 As such, the lake typically frozen and ice fishing ensues. Unless snowball fights or sledding are more popular. This year, however, the weather has been unusually mild and the ice on the lake was too thin. 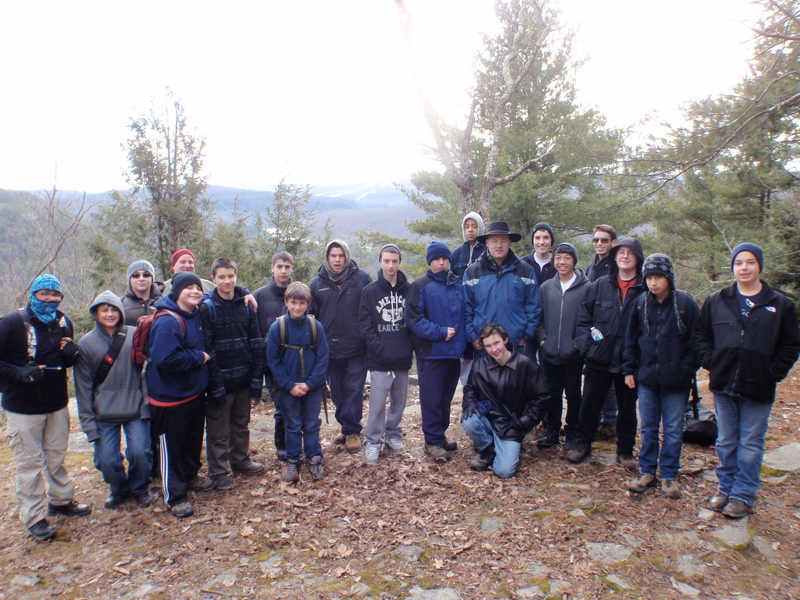 Still, the boys spent most of the day Saturday outdoors: hiking and teaching advancement skills for the lower ranks. The traditional turkey dinner was expertly prepared by ASM Mike I, whom was shipping off to return to service for our country the next day. His presence, along Mr. William and Mr. Evans (both served in the armed forces) added a very special meaning to a very respectful and reverent flag retirement ceremony Saturday night. And the scouts got a first hand look at just how flammable a Christmas tree is when it is totally dried out! All in all, another awesome winter weekend at the base of the Catskills at TMR! Memorable photos are found here! Backpacking the AT into Durland — Always Memorable! Every year the troop plans a mini-trek for backpacking in order to give the younger scouts a taste for self-sufficiency. 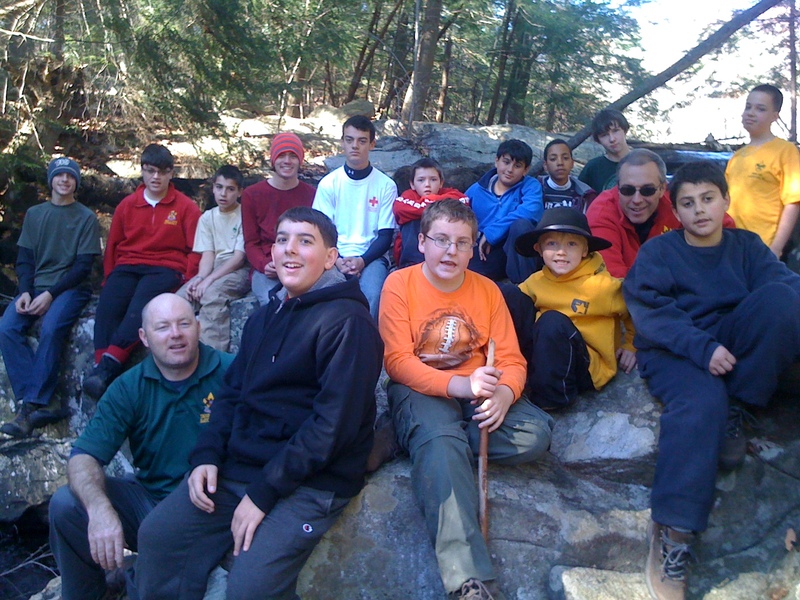 The Scouts typically start in Clarence Fahnestock State Park and backpack a portion of the Appalachian Trail (AT) into Durland Scout camp. First year scouts, and even guests, are instructed to wear day packs only as some have not experienced much hiking, especially around the hills of Durland Scout camp! Scouts must prep for backpacking and target total pack weight of only one-third of their body weight and ensure they have comfortable fitting hiking boots (not sneakers!). Sometimes the troop splits into two groups, with the younger scouts taking a path less than 5 miles. Too, they get ample practice with map and compass on the trail. There is a rich history in the area with several abandoned mines from the mid-1800s. Iron ore was mined in those days and shipped westward to nearby Cold Springs to the foundry there. There are even remnants of an old town deep in the woods. If the history is not enticing enough, the natural beauty of a hike during fall foliage is! 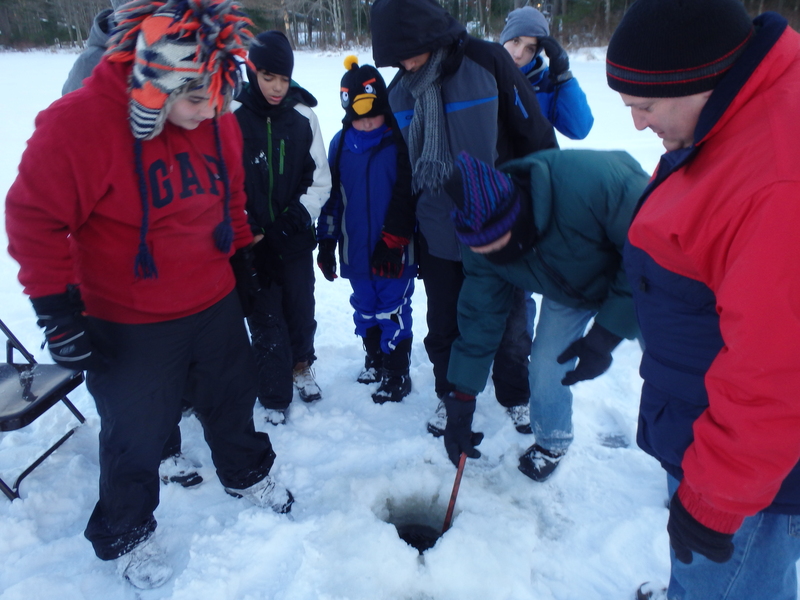 Temps can drop into the teens on Saturday night, so the outing is also a good primer for Winter Camping skills. Many often stay warm after dinner by performing acrobatic skits to everyone’s appreciation. Prior to departing for home, however, scouts often engage in a traditional game of “acorn wars”. There is a degree of comfort in camping at Durland each year, akin to donning an old pair of sneakers, as these pictures clearly show!! Author scoutmasterPosted on November 30, 2010 February 9, 2012 Categories Activities, Backpacking, Camping, Clear Lake, Durland Scout Camp, Events, Hiking, Photos, Winter CampingLeave a comment on Backpacking the AT into Durland — Always Memorable!